Mobile apps are gaining huge importance, especially with smart device use becoming widespread. Internet users are downloading many mobile apps which they believe will make their lives easier, to their smartphones which they always have on their sides. Some of the mobile apps created for various purposes get a prominent spot in lives of their users, while others get forgotten after a while. So what mobile app design mistakes you may overlook can force your app to be among those forgotten apps? When you know and avoid these points, you may be able to develop apps that will touch the users’ lives and be successful. We, as MobiRoller, would like to iterate four mistakes you should avoid when creating your app. An app developed haphazardly without adhering to some logic, plan and timeline, may not reach the success you hoped for. Moving in agreement with a plan carries great importance for you to be able to measure the success of your app and look ahead. With a set plan, a strategy fits some timeframe; you can increase the success of your mobile app significantly. Just like you would do for your company’s marketing strategies where you consider many different variables and form plans painstakingly, you could follow this same path for when you want to develop your mobile app. However successful your app might be, it is good to remember there may still be some unhappy users and those that experience some issues. It is critical for you to approach them in a solution-oriented way, and handle their complaints carefully. If your mobile app has a section where users can leave comments, put photos or videos, don’t forget to check this section regularly. If there is a great stream of shared content, even forming a team solely for this purpose can be highly helpful for you. 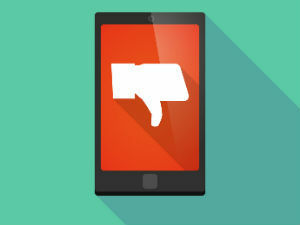 Otherwise, your mobile app may feature shared content that can hurt your image. Alternatively, when an issue was shared that may not even have originated from you, you can lose other users who see that post before you. Mobile apps which do not get regular updates may end up getting forgotten by their users. Just like how social media requires constant streams of shared content to keep the interest of followers alive, you should remember the same applies to your mobile app. Regularly updating your contents in the app is an efficient way to keep your users within your app. By updating your articles and photos within a predetermined plan, you can get your users to enter your app and follow these updates and remain in interaction with the app. Every move your users take on your app is an excellent reference for you to improve your app and provide a better service for them. By following the rates of viewing in your app, you can evaluate what content is liked most and what content generated no interest at all. Then, in light of this information, you can realize where your app lacks and you can improve it in those ways. All this information may help you greatly with preventing your mobile app design mistakes. Of course, before all these, it is crucial for you to have a cool and functional app of the highest quality. We as MobiRoller, are offering you all kinds of support needed to achieve this. Start creating your mobile app right away to take your place in the mobile world with privileged offers we provide.